Credit unions from across Maine gathered in Freeport yesterday to celebrate the conclusion of the Maine Credit Unions 2018 Campaign for Ending Hunger. Credit unions from across Maine gathered in Freeport yesterday to celebrate the conclusion of the Maine Credit Unions 2018 Campaign for Ending Hunger. The initiative, backed by all of Maine’s 55 credit unions raised $792,900 — over $52,000 more than the amount raised in 2017. All funds raised by the campaign stay in Maine and support local food banks, pantries, nonprofits, and schools. 285 organizations received financial support last year as part of this effort. Justin Alfond, treasurer and secretary of Full Plates Full Potential and Kristen Miale, President of Good Shepherd Food Bank spoke at the event. Both discussed the impact of childhood hunger in Maine and highlighted ways the state’s credit union network can continue helping feed those in need. 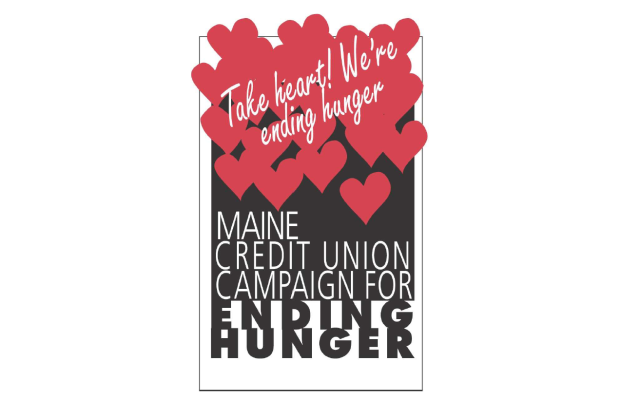 Since 1990, the Maine Credit Unions’ Campaign for Ending Hunger has raised over $8 million. Fundraising efforts for 2019 are already underway.